While I was watching the movie "Avatar" recently, I couldn't help thinking that Jesus was the ultimate avatar. An avatar is a representation of a real person in an environment or world different from, but parallel to, their own. The avatar takes on the likeness of those in the parallel world, living with them and as they do, yet remains connected to and controlled by their real self. That real self remains invisible to the people of the other world and connects with them solely through the avatar. In "Avatar", Jake Sully, though an invalid in his real world, is able to live a full and heroic physical life through his avatar in the world of Pandora. His avatar was able to do anything that Jake required of it by being controlled through Jake's thoughts and ambitious plans. Jesus was God's avatar on earth, the parallel world he created. The only way God could save humankind was to come to earth as a human, live as a perfect human, pay the death penalty for humankind's sin as a human, and rise from the dead - the ultimate avatar in the world of humans. It was clear, not only from what he said, but from what he did and how he did it, that Jesus was indeed God in avatar (human) form. Paul reveals that "The Son is the image of the invisible God" (Colossians 1 : 15) and " in Christ all the fullness of the Deity lives in bodily form." (Colossians 2 : 9). John, in introducing his gospel, said, "No one has ever seen God, but the one and only Son, who is himself God and is in closest relationship with the Father, has made him known." (John 1 : 18). All of these echoed Jesus' own admissions that he and the Father were one (John 10 : 30) and that those who had seen him had seen the Father as well (John 14 : 9). And so God lived with us in our world, doing for us what we couldn't do for ourselves, and thus created the gateway for all of his creation to eventually live in fellowship with him forever. When I was much younger I learned "The Roman Road" as a tool for personal evangelism. A small selection of verses from Romans was used to explain the gospel story to those who would listen. I had a small, black New Testament with these verses highlighted and my listener and I would read through them, discussing what they meant, in the hope that my listener "would be saved". 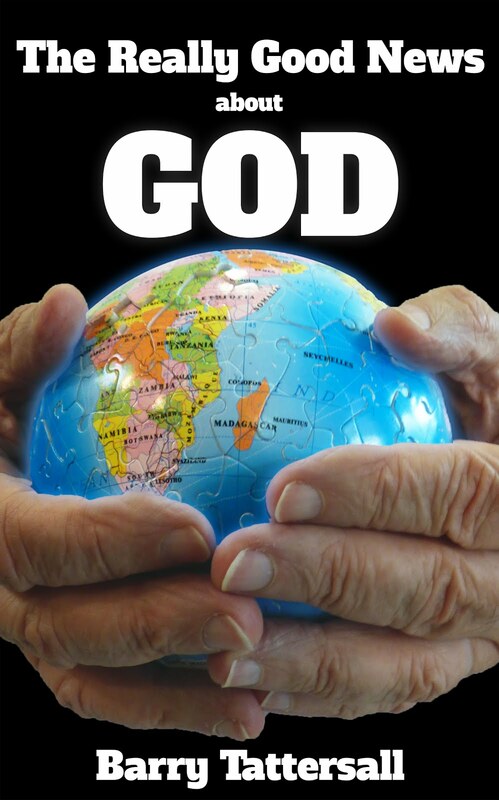 We would discuss the tragic state of the human race and our personal predicament before God. I would then invite my listener to admit they were a sinner. This verse opened discussion on the nature of death that was the consequence of our being sinners, and the sort of life God was providing as a free gift through Jesus. I would help my listener see that they deserved death; but there was a way out of this by reaching out and accepting God's free gift of salvation, forgiveness, new life. We would then discuss God's unconditional love for all of his creation and his plan to save and forgive us. Jesus' obedience to the Father and the significance of his death on the cross were discussed to demonstrate how these provided the solution to the world tragedy and our own predicament. I would invite my listener to agree that it is God's love, demonstrated in Jesus on the cross, that saves us, and that nothing else does or can. Having previously agreed with me that they were included in the sinners group, I now assured them that they are equally in the group that is qualified to call out to the Lord and be saved. At this point I would usually check on my listener's understanding of all we had discussed and invite them to repent of their sin, confess Jesus as Lord and invite Jesus into their heart.... and so be saved and empowered to live this new life. The conversation was usually a successful one. Listeners would be convinced of the Biblical facts and suitably disturbed by the consequences of continuing to live without forgiveness, and so make "a decision for Christ". So what's happened to me and the Roman Road since those days? Lots really. Since those days of using the Roman Road to "get people saved" in this way, I have enriched my understanding of some of these verses, discovered that Romans goes way beyond chapter 10, and also found other stopping places along the "old" part of the road that I hadn't noticed before. For example, I had completely missed Romans 5 : 19. Just about every mainstream Christian or church I know believes the first part of this verse and rejects the second. Amazingly they believe that Adam, the first "one man", made us all sinners; yet do not believe that Jesus, the second "one man", will make us all righteous. In other words, the mainstream believes that Adam was much more successful in producing the curse than Jesus was in providing the cure - that what Adam did affects all humankind, but what Jesus did affects only a small minority. Apart from the fact that this position totally contradicts what the Bible says here, I can't believe that God, through Jesus Christ will be less effective than what Adam, his first human creation, was. The creature more effective and influential than the Creator seems untenable. The disobedient one more effective than the obedient One doesn't fit God's way of doing things. If we are to believe Romans 5:19, as well as the other verses on the "old" road, we must also come to the conclusion that if everyone is to be made righteous, then everyone is going to have to repent, call out to the Lord and so be saved. And since we see that this doesn't happen to everyone while they are alive on this planet, we can only conclude that God will still be seeking and finding his lost sheep beyond life here, until the very last of them is found. By the way, right next door to Romans 3 : 23 is another statement very similar to Romans 5 : 19 and 1 Cor 15 : 22. In fact verse 24 is the conclusion of the same sentence that verse 23 is a part of. Let's read the whole sentence. The 'all' who sinned are the same 'all' who are freely justified. Isn't it amazing how we have become so adept at taking only a small part of a sentence to make our point, yet neglect other parts of the same sentence that don't support the point we wish to make. Now what lies beyond our "old" Roman Road - beyond chapter 10? God has arranged for all of us to be disobedient just so he can show his mercy and kindness and grace to every single person. So, I have now discovered the road is much longer than I had previously thought and that there are other interesting stopping places along the roadside that I had not seen before. These haven't changed my message of hope for a lost sinner so much, but rather enhanced it dramatically. I still hope to bring the message of salvation to those who will stop to listen to me now, but I also have the wider hope that everyone will come to this knowledge and position in Christ eventually. And Paul must have had that hope too. He not only mentioned it in his letter to the Romans but also in his letter to the Corinthians, the Colossians and the Philippians. He must have been pretty sure of it to keep talking about it. Overall, the Romans Road is a road of tremendous hope and one which everyone one of God's children will travel at some time in some way. This was, and still is, God's incredible plan and purpose that he conceived before the ages began and implemented through the death and resurrection of his son, Jesus Christ.